BUCKHANNON, WV: Imagine going to dinner downtown, followed by a show at the Colonial Theatre (perhaps with an ice cream scoop at intermission) and a chat with friends over your favorite beverage or sweet treat afterward. The Buckhannon Community Theatre (BCT) and the City of Buckhannon share a vision for a community arts center on Main Street, housed at the historic Colonial Theatre, surrounded by our many shops and restaurants downtown. 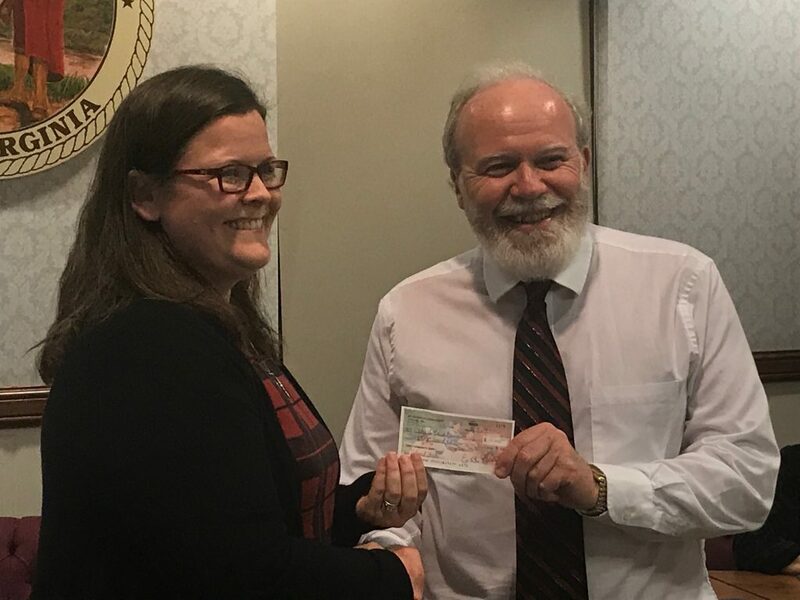 Thursday, during the Buckhannon City Council meeting, BCT pledged $25,000 to the Colonial’s renovation in honor and memory of Jim Knorr, BCT founder, theatre and music arts educator, and former mayor. The restored theatre will provide a space for theatrical performances, music, dancing, and an art gallery, while providing our B-U children with arts’ options galore. The City has also received significant gifts from the West Virginia Division of Culture & History, ART26201, the McMurtry family, fundraising events, and additional members of the Buckhannon community near and far. The renovated theatre will provide opportunities for area youth to experience and participate in the arts through lessons, workshops, and performances. Buckhannon Community Theatre plans to utilize the theatre regularly, making the Colonial Theatre their home. ART26201’s Young Filmmaker Camp will also utilize the space.